Can the Road to Being a Tennis Champ Begin at 53? When I decided I to take up playing tennis in my mid-50s, I contemplated what motivated me to take on this challenge. Was it just a late-mid-life crisis, or was there something more? 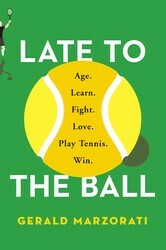 Read more about my journey from editor to competitive tennis player in Late to the Ball: Age. Learn. Fight. Love. Play Tennis. Win. It was a thought—being a tennis player—that first came to me when I was months from my fifty-fourth birthday and spending what time I could (a few vacation days) wandering the outer courts at the U.S. Open in Flushing, about five miles north of Forest Hills and, New York being New York, a world away. I had been a tennis fan for much of my life but never played. Could I now? And if I started in my mid-fifties, could I get good—good for my age—by the time I was sixty? Was this a crisis of late middle age? Was it about my oldest son being ready, as I reached my mid-fifties, to look at colleges, and his brother two years behind, and the weekend afternoons already yawning? Did it have something to do with the fact that, no matter how engaged and satisfied I was with being the editor of the New York Times Magazine—with having had the good fortune to have done with my professional life what I wanted to do and more—it was almost all behind me now, decades of editing stretching back to the 1970s and my tenure as editor-in-chief three years from being done? Or—and this was very much on my mind by my late fifties, as my editorship of the Times Magazine ended and I began to train seriously with Kirill, and magazines everywhere (especially general interest magazines) seemed to be reeling from the Great Digital Disruption and a world I had inhabited since my twenties looked to be dying off: Did I need someplace or something to belong to? Or—and this was how it was more or less seen by my wife Barbara, who is nine years younger than me; who had known me for more than twenty years when I first brought up taking tennis lessons; who was training for a marathon when we began going out and now swam Olympian laps on the days she was not sweating through Bikram yoga—was it that I was simply not willing to act my age—not willing, with the onset of “young old age” at sixty, to hover in the anteroom of the aged, to reconcile myself to looming extended monotonies, unpromising everydayness? One of the few inspiriting aspects of entering your sixties, for me anyway, now that I have arrived there, is that you find yourself growing more comfortable with an understanding that you don’t necessarily understand your motivations, and never have—that you don’t much know yourself in that way at all. An award-winning author shares the inspiring and entertaining account of his pursuit to become a nationally competitive tennis player—at the age of sixty. Being a man or a woman in your early sixties is different than it was a generation or two ago, at least for the more fortunate of us. We aren’t old…yet. But we sense it coming: Careers are winding down, kids are gone, parents are dying (friends, too), and our bodies are no longer youthful or even middle-aged. 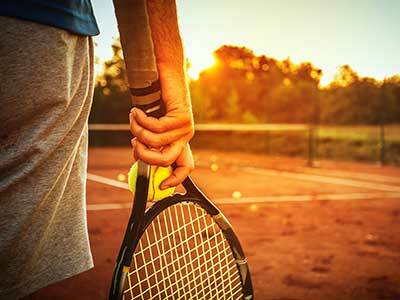 Learning to play tennis in your fifties is no small feat, but becoming a serious, competitive tennis player at the age of sixty is a whole other matter. It requires training the body to defy age, and to methodically build one’s game—the strokework, footwork, strategy, and mental toughness. Gerry Mazorati started playing the game seriously in his mid-fifties. He had the strong desire to lead an examined physical life, to push his body into the “encore” of middle age. In Late to the Ball Mazorati writes vividly about the difficulties, frustrations, and the triumphs of his becoming a seriously good tennis player. He takes on his quest with complete vigor and absolute determination to see it through, providing a rich, vicarious experience involving the science of aging, his existential battle with time, and the beautiful, mysterious game of tennis. Late to the Ball is also captivating evidence that the rest of the Baby Boomer generation, now between middle age and old age, can find their own quest and do the same. Gerald Marzorati was the editor of The New York Times Magazine from 2003 until 2010. He previously worked as an editor at Harper’s magazine and The New Yorker. He is the author of Late to the Ball and A Painter of Darkness, which won the PEN/Martha Albrand Award for a first book of nonfiction. His writing about tennis has appeared in The New York Times and on NewYorker.com. Share Can the Road to Being a Tennis Champ Begin at 53?